Welcome to the Ladbrokes sign up offer. This offer will allow us to make up to £22 in profit. We need a Betfair account to complete all the offers so sign up now if you don’t have an account. If you already have a Betfair account you can skip this step and proceed to Ladbrokes to create your account. We need to use a promo code when signing up to Ladbrokes. Make sure you enter the code G30 in the registration form during sign up. This allows us to get a higher value offer than the advertised Bet £5 Get £20. You are now ready to start the Ladbrokes sign up offer. Expand each step below to view the required steps. Proceed to Ladbrokes using the button above and sign up to the site. In the registration form we must use the promo code G30 in order to get the free bets later on. Once we have opened our Ladbrokes account we need to deposit £10 into the account. Using a debit or credit card is essential for this offer. Other deposit methods may make you ineligible for the free bet. 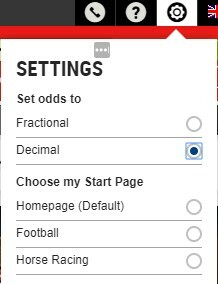 To make matched betting easier we are going to set the bookmaker websites to use decimal odds before we start. To do this on Ladbrokes you will find the settings menu in the top right-hand corner. Clicking this will reveal the odds format options. We are going to use Decimal. In order to qualify for the free bets we need to place our £10 bet at odds of 1.5 or higher. Use the OddsMatcher below to find a suitable betting opportunity. This will show you the best matches for you to bet on right now. We need to find a bet where the back odds at Ladbrokes are close to the lay odds at Betfair. The OddsMatcher does this job for you. Once you have picked your bet head over to Ladbrokes and add the bet to your betting slip, set your stake as £10 and place your bet. Now that we have placed our £10 back bet at Ladbrokes we need to lay the bet at Betfair. 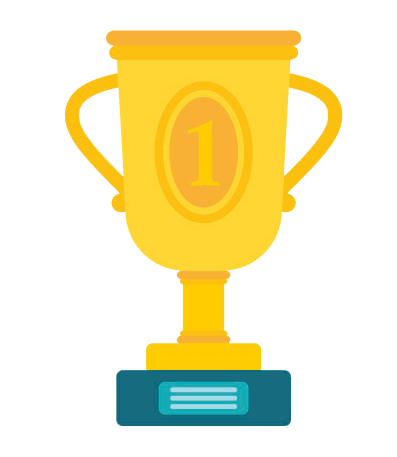 We need to use the matched betting calculator to calculate our lay stake. Enter your back bet stake and odds into the calculator and then enter the current lay odds. This will show you what you need to lay. The calculator will also show you your liability, this is how much money you need in your Betfair account in order to place the bet. Once our qualifying bet has been settled, Ladbrokes will add 3 x £10 free bets to your account. You can place all three £10 free bets on the same bet and then just calculate it as one £30 bet on the calculator. Once we have the free bets we can repeat the process from steps 1 and 2 with a few small alterations. We still need to find a bet where the odds are close together but this time we want to look for something with higher odds. Congratulations! You have just completed the Ladbrokes offer, enjoy your free money! If you have any winnings in your Ladbrokes account you can now withdraw them.